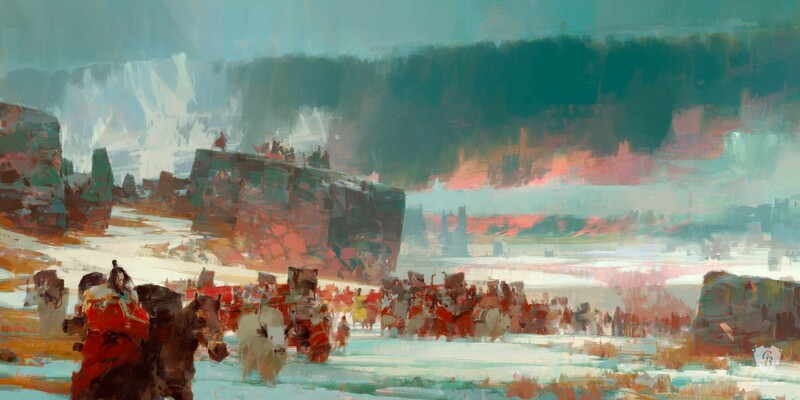 Refugees is an original concept artwork for the video game Guild Wars 2 made by concept artist Theo Prins for studio ArenaNet. Dutch artist Theo Prins is widely traveled. 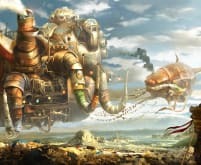 He is fascinated by landscapes and most of his works have landscapes and cityscapes as their main subject. 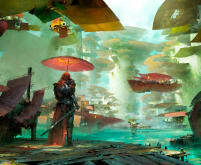 Theo Prins is one of the most impressionistic concept artists. His works have a light, soft touch. He consciously paints with a loose style and lets the viewer fill in the details. 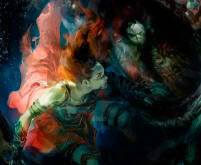 Prins was an Into the Pixel finalist in 2015 with one of his Guild Wars 2 artworks. 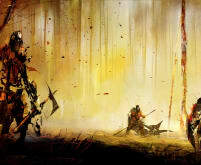 This giclee print is part of the official Guild Wars 2 fine art print collection by Cook & Becker and ArenaNet. The art print comes with a certificate of authenticity.